This work was a commissioned illustration for a magazine dealing with Cuban children's dreams. The artist was asked to represent a dream by a girl named Yenniffer, from Habana, Cuba. The work provides an interpretation of the child's dream in which she appears as a princess, sleeping in a palace bed and awakened by a bad bear who tells her he will eat her that day. 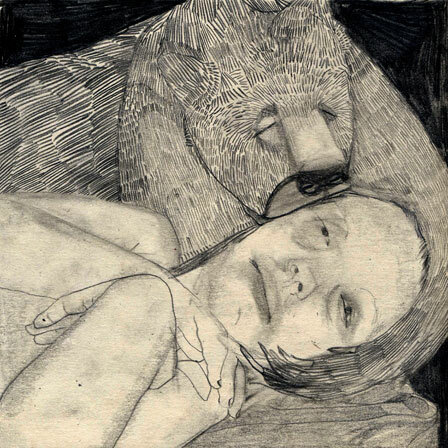 The wild animal's bite resembles a kiss, as the scared girl is cradled in the bear's arms.